CONTACT….. A normal custom board order starts with an e-mail or phone call to me. If you already have an idea of what you want I can translate that design into your new board. If you are not sure what you need we can discuss your physical size, ability, riding style, etc……. I have built a very wide range of boards for a very wide range of riders, this allows me to understand your needs and design a board that will fit you perfectly. DESIGN….. After determining the best design for you comes designing. I design all custom boards on CAD (Computer Aided Design). 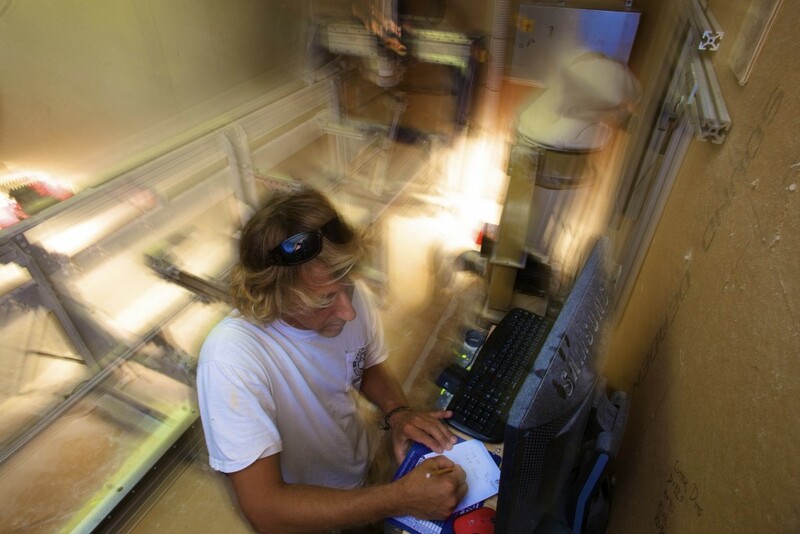 This design program allows me to design your board within a fraction of an inch (or millimeter) with complete accuracy. I can then archive your design for future replication or modification. Every aspect of the board design (rocker lines, outlines, concave, thickness flows, rail shapes) can be manipulated and modified. 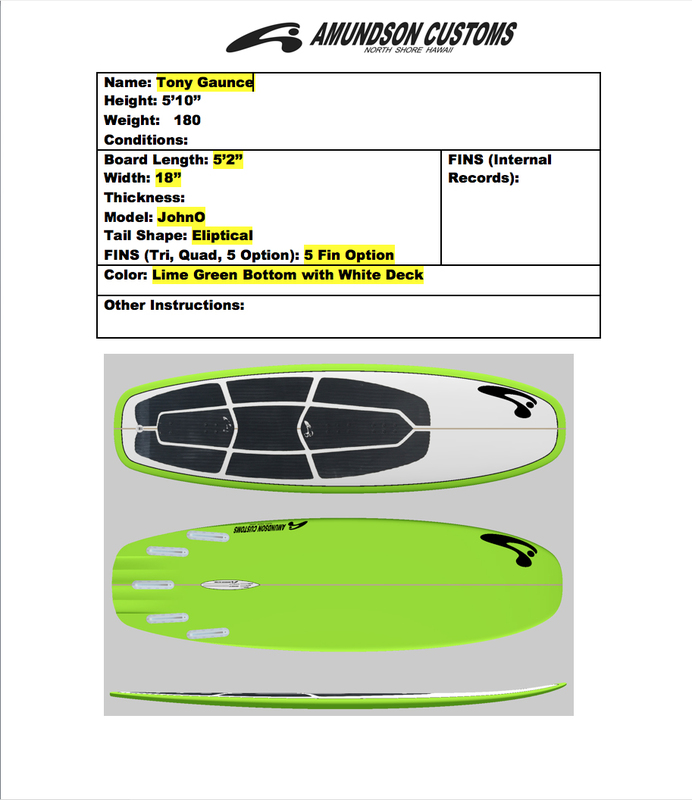 Your order form with all information and 3D sample of what your board will look like. CNC MACHINING…..Once your design is finished I machine your new board on my personal CNC machine. I built this machine and it has been an incredibly valuable asset to the development of my designs. Having it in house I am able to design and build a new idea, go out and test it, and come back to refine that idea without any time delays. Another benefit is I can mill a design and if I am not satisfied I can re-design and mill again on the spot, no delays. 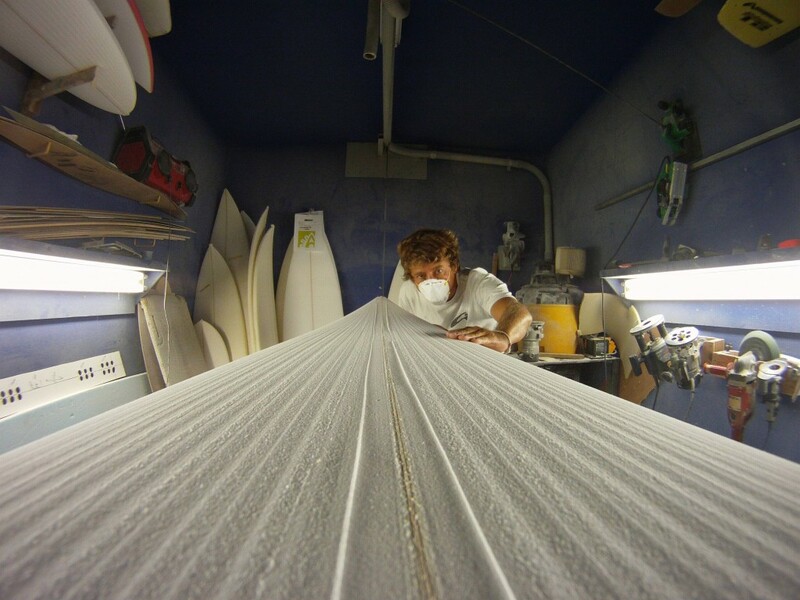 HAND SHAPING….. After your new board has been milled it enters my shaping room. Here I fine tune and finish your board. I have been hand shaping since I was 15 years old (A very long time ago) and this hand shaping experience has given me the ability to visually assess all aspects of a design such as symmetry, esthetics, and (most importantly) functionality. The last decade has been a very advancing time in high quality polyurethane foams throughout the world. I have researched and found the best polyurethane foam manufacturers in the world and utilized their knowledge of foam structure. We have found that a foam cell that can compress and rebound under pressure will hold up to the intense use of kite surfing and surfing much better and much longer than a brittle or less quality polyurethane foam. The formula I am using originates from the other end of the planet. I feel this is the best foam for longevity and performance, I am willing to search the planet for the best materials and latest technologies for my custom boards. MORE TO COME SOON ON CONSTRUCTION………….